Sometimes I can see how people think I’m strong and amazing. Like today when I read the post I’m about to share from a year ago. It’s hard to believe I was in a place to worship so boldly. Because I was at the very end of a very hard thing that I had first about back in nursing school: the traumatic wean. Now I was 24 and childless when I graduated from the College of Nursing. That means I still had nights when going “dancing” meant drinking a little too much with friends. Children were treasures to be enjoyed at family holidays and in my dreams of my own future family. So I memorized phrases like risk for mastitis and comfort measures and cold compress and feelings of depression and anguish. And even though I was professionally trained and experiencing the loss of my fourth child, nothing would prepare me for what I was about to experience. I was still in the ER when the thought first occurred to me that something horrible was coming. Something Beyond and different from the horror of grasping life without her. Something physically horrible. I was going to have a massive supply of milk with no destination. A deposit of love and life that would not be allowed to be given. My entire body responded in a rebellion and rejection of her absence. Of its dependence on her. Pain and heat seared through me. My body could not contain the swell of hope that would no longer flow freely. In fact I believe I’ ve never fully taken on the anger that is hallmark to grief because I bore it physically that week. Every cell I have was enraged and revolted against me . . . as if I had decided her number and called for her quick exit. It was punishing and unexpected. 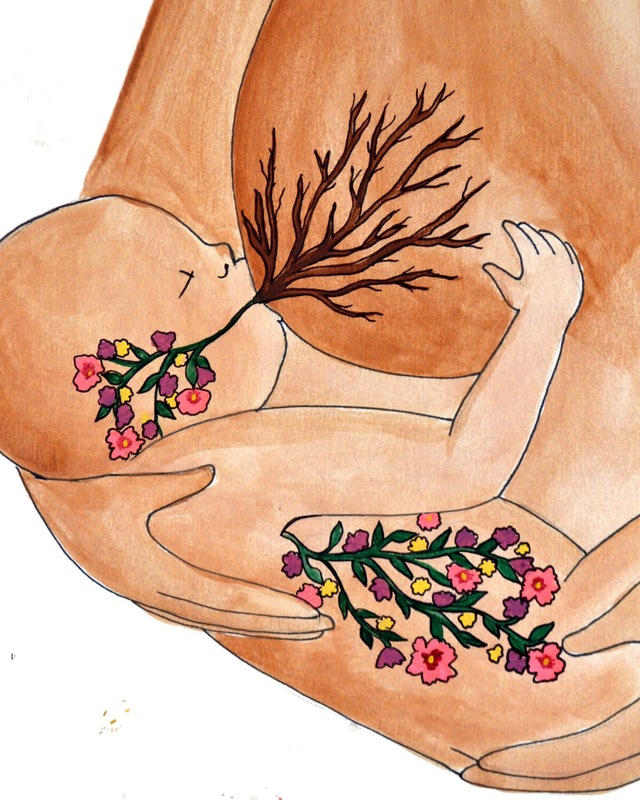 One morning my breasts were a cozy village filled with life and love. Marked with safe boundaries and comfortable familiar nooks. By the end of the day, my chest had become a wasteland of devastation. A scorched and barren country with no citizens to call its own. I had been pillaged completely and without warning. But not all storehouses were ravaged. There was a bounty that could be offered to another tribe. I would be avenged. Because my God is just. He is an avenger. If I have been pillaged, I can trust it will be for good. There is no need to cry over spilled milk made of love and hope and the best gifts of myself. Because even that Will be delivered by Him. The following was posted a year ago right after I found out what Gods plans were for my milk supply. I wish those plans had been different. I wish I could say mine! Like an angry toddler but I am a mature child of the King who knows the truth: not my will, but your will be done. I made a commitment to pump for my daughter daily as soon as my supply was well established and she had good weight gains going . . . as a result I had 80 ounces of life giving breastmilk but no longer held a baby in need. . . It brings me great joy to know that God is providing vital immunity and nutrition for an adopted newborn through the milk I was trying to provide for Ellis Grace. It was senseless to keep but so painful to throw away. So God will have me do neither and will instead claim victory in blessing another baby with boosted health. So I say again- my God sees me and assures that I do not toil in vain. . . just as He uses each drop of milk to the benefit of a precious child, He will make sure that each of my tears is holy and blessed for His purpose. Praise God from whom all blessings Flow. . .